​Real Madrid boss, Santiago Solari, whole-heartedly believes Los Blancos can win the Champions League for a fourth consecutive season, claiming that "nothing is impossible" for the 13-time winners. The reigning European champions have been sensational in Europe over the last few seasons, winning the trophy in four of their last five appearances. 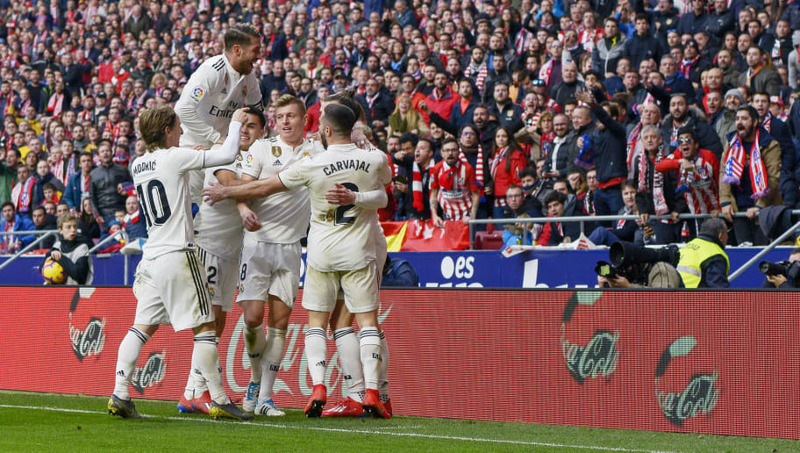 Madrid haven't been at their ruthless best this season, but their recent good run of form has made Solari confident about a fourth successive Champions League. Asked what came to mind when he thought of the challenge of winning a fourth straight title, the head coach told UEFA: "That nothing is impossible for Real Madrid," as quoted by FourFourTwo. Real Madrid will make the trip to Ajax for the first leg of their Champions League last-16 tie on Wednesday. Solari has full faith in his squad of champions but is also aware of Ajax's quality, who became the kings of Europe in 1995. "Ajax are very well known for their work in the youth system, for their commitment to young talent and their offensive football," he said. "That's the way they still work, with a team that has already shown that it was competitive last year and that it remains competitive this year." "The tie is going to be difficult, like all these occasions in the Champions League," he concluded. Following Wednesday's Champions League clash, Madrid will take on Girona in La Liga on Sunday afternoon.